It’s that time of the year that most of us would just rush to the gym, do a few lap, etc. trying to get our shape up. Along with those work out, it’s better to have some pre or post- workout drink that replenish our energy while helping us with body building by not jack up those extra calories. That’s what this diet smoothie aimed for. 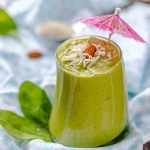 While this drink provide plenty of fiber through veggies and stuffs to aid in your diet, it also contains avocado, coconut and nuts to help with your skin. These are highly “good” fat, omega 3 and anti-oxidant to work with any blemish you might have while losing weight. A tablespoon of honey would definitely make the drink taste better, or sweeter per say, but if you on strict carb-free and sugar-free diet, you could substitute with one of those 0 calorie sweetener. Try to use those natural ones will benefit more. Another note is on the protein powder. Just make sure you pick the best one that fit your exercise routine, beware of those hidden carb through artificial flavors and/or sweeteners. 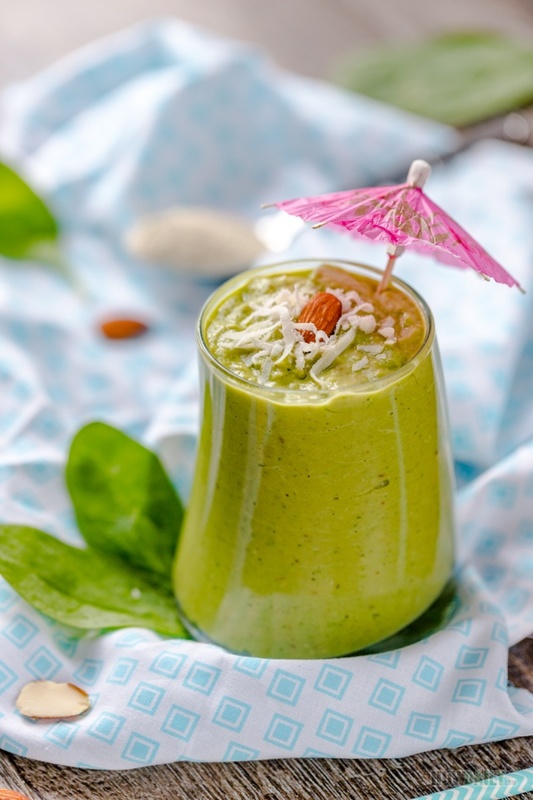 A combination of avocado, nuts, spinach and protein powder provides a range of essential nutrients, while the addition of the coconut and honey ensures an incredible flavor profile that should make this smoothie one of your new favorites. Once your avocado is fully frozen, remove it from the freezer, peel it and then chop it into a few smaller pieces. Or do the reverse, chop into small pieces and store with freezer bag in portions. 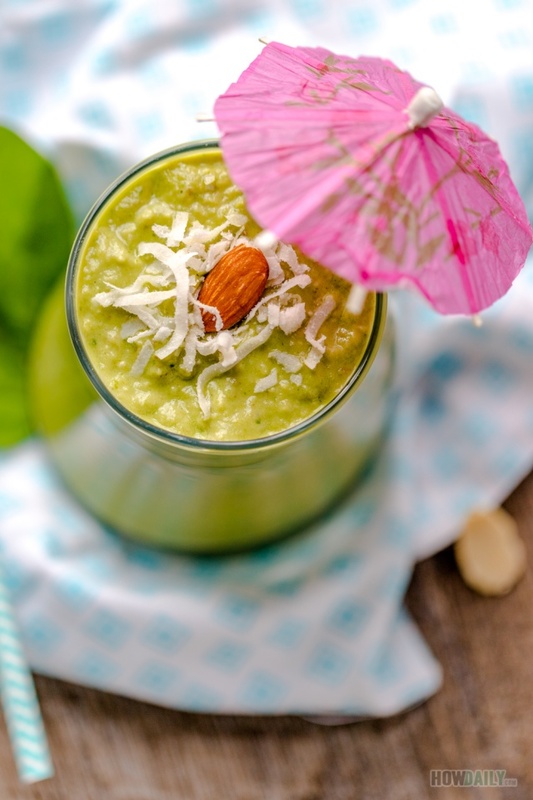 Now place the avocado and all of the other ingredients—with the exception of the honey—into a blender and blend until the mixture becomes smooth and slightly foamy. Once fully blended, taste the smoothie and then gradually add honey until reaching your desired level of sweetness. could i take all the products and combine, except honey, and freeze then blend when i want one? I think that would work well too. I would add a couple drops of lemon or lime juice to keep avocado from getting dark though.